Kristan “Stan” Connor is thrilled to be invited to the Groundhog Day festivities in quirky Frog Ledge, Connecticut. Her organic, home-baked pet treats are a big hit at the annual celebration, though an important guest is curiously absent . . . When Helga Oliver, the town’s elderly historian, is found crumpled in the basement of the Historical Museum, the close-knit town is devastated. But after some tenacious digging, Stan discovers Helga was pushed down the stairs–and that this picture-perfect New England town may hide some dark secrets . . .
Stan’s dogged determination reveals Helga’s ties to an unsolved death in 1948 . . . but how does that connect to Adrian Fox, who’s just arrived in town to shoot an episode of Celebrity Ghost Hunters? Stan is going to have to be very careful in chasing down the killer–if she wants to live to see another winter . . . This was a book that caught my attention and kept it. There is more than one mystery that needs to be solved in this story. 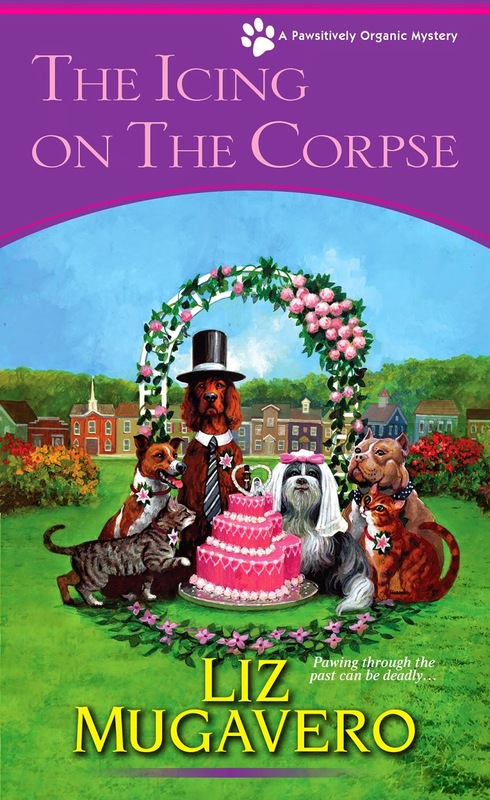 It kept me guessing, which is what I like in a cozy mystery. I like the setting of this series. Frog Ledge seems like a charming town full of quirky characters. It is also cute some of the jobs that Stan has to do for the doggies. If you are looking for an interesting read that will keep you entertained, then this is the book for you. 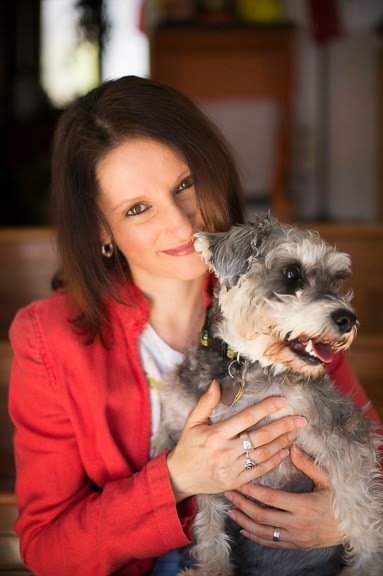 Liz Mugavero is a corporate communications consultant and animal lover from the Boston area, whose canine and feline rescues demand the best organic food and treats around. Her short stories have been published in the UK and Australia, and her essays have appeared in national publications Skirt! and Sassee Magazine for Women. I would love to meet some of the characters, in this series! I've read one of the books in this series and it was just delightful. I'd love to read this one. Sorry I can't click more Twitter names but I'm at the 2002 follow limit. I love Liz's books and would love to win this one for my home library.